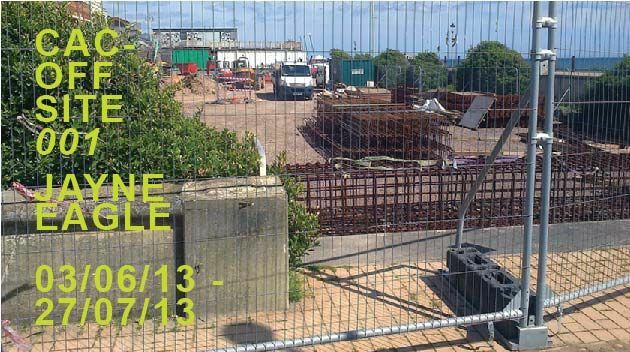 Members are invited to seek out CAC-OFF SITE 001 by Jayne Eagle which has been installed below Alfresco Restaurant near the West Pier on the Seafront. CAC-OFF SITE is a series of interventions with the world outside of the Community Arts Centre Cultural Hub. (Community Arts Centre is not a Cultural Hub.) CAC-OFF SITE is a collateral event of the 01/06 - 27/07 WORK PROGRAMME SUMMER COLLEZIONE. Culture is not Just for Christmas. SUMMER COLLEZIONE - Fresh, unkempt and internationally hand-plucked.